The perfect beach house/home awaits. Let this calm, quiet environment wash away the stress and tension of Melbourne. Everything is done - just move in and enjoy, or make your own improvements to the property. 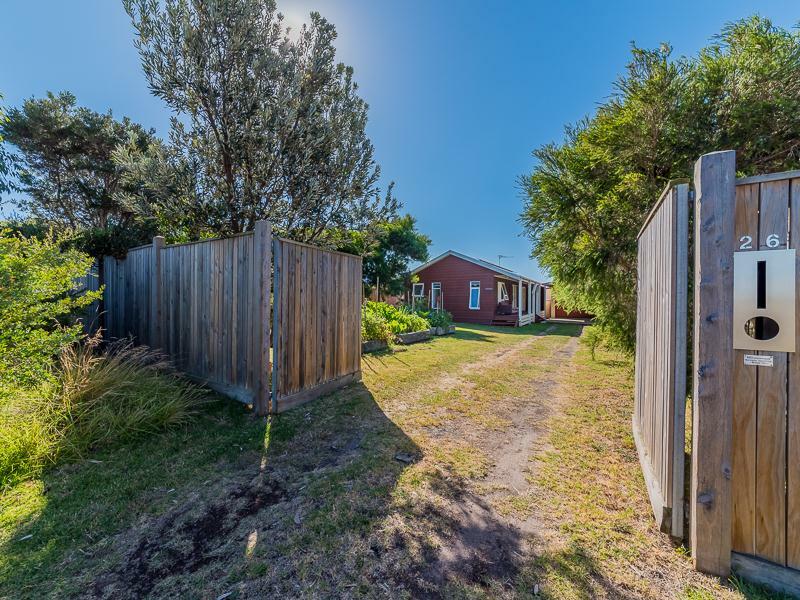 • Complete peace and privacy behind 1.9m fence and gate. • Shedding: man cave with work bench on one side, laundry and storage on the other. • Carport: 2.7m high - great for boat or caravan. • Mirror image bedrooms and bathrooms at each end give great privacy for everyone. • 5 min walk to shops and takeaway. • 10 min walk to Colonnades Beach. • 1.5kW grid connect solar with 60c/kW feed in tariff. • Split system aircon and fans. 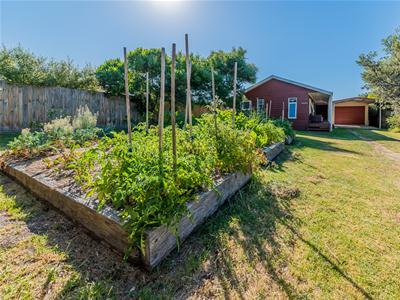 • Vege garden front and back. 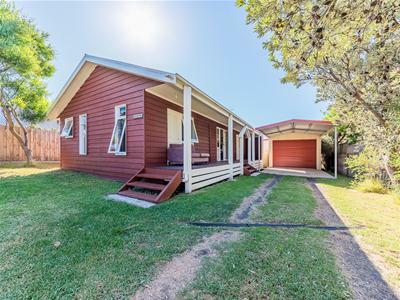 • Ability to extend single gable roof line and/or close in rear verandah.